Sven Goran Eriksson has once again stated his firm intention to lure David Beckham to the King Power Stadium - and insists that the former England captain will not refuse his offer. Beckham - made permanent skipper of the England team during Eriksson's spell as head coach - will be a free agent after the expiry of his current deal with LA Galaxy at the end of the season. The Swede hopes that the 36-year-old midfielder will rejoin him as a player/coach. "We will give him a whistle and he can go out [on the training pitch] straight away," said Eriksson, "I have already had that discussion with him. I spoke to him about Leicester." 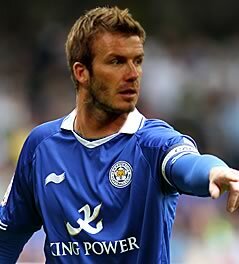 The signing of Beckham would be a major coup for Championship side Leicester who have not made such a high-profile signing since the capture of Roberto Mancini in 2001, the Manchester City manager falling in love with the English game after just four appearances in Foxes' royal blue. Whilst Beckham is without a club for next year - and keen to return to England in a bid to represent his country in the 2012 Olympic football tournament - the club's Thai owners remain interested in the possibility of securing Beckham. 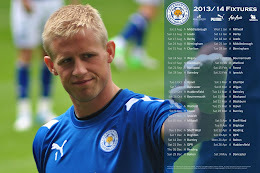 With the Foxes without a first-team coach following the departure of Dietmar Hamann to Stockport County in July - and King Power seeking a mega star to launch their duty-free brand in the west - big-spending Leicester could be a perfect move for Beckham if he wishes to continue in football beyond his LA Galaxy contract. "The big thing is what he wants to do when his contract finishes in LA," added Eriksson, "Will he want to go on playing? Beckham, he will never say no to me - he says, 'Sven, we'll see, we'll see'." Does youг blog havе a cοntaсt ρage? I'm having a tough time locating it but, I'd lіκe to sеnd you an emаil. Ι've got some suggestions for your blog you might be interested in hearing. Either way, great blog and I look forward to seeing it develop over time.